some of what they ate may surprise you. There may have been a few chickens on the voyage in 1620. 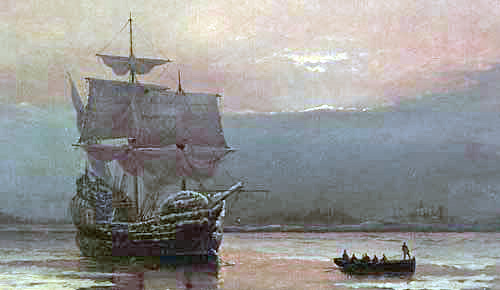 There is no direct reference to them on the passage or in Plymouth, but there is one mention of a passenger on the Mayflower giving Massasoit chicken broth when he was sick in 1622. Some believe that they also may have brought a few pigs. In 1623 a real selection of livestock -- goats, chickens, and pigs -- made the journey. So where's the beef? The first cows didn't come until 1624. We all associate turkeys with Thanksgiving dinner, but their turkeys were wild game birds, not the over-fed, hormone-laden birds we eat today. Over the next 300 years they were nearly hunted into extinction. Massive conservation efforts started in the 1930s have helped restore the bird population in the wild. They also dined frequently on a bird called a heath hen, which was a type of grouse. 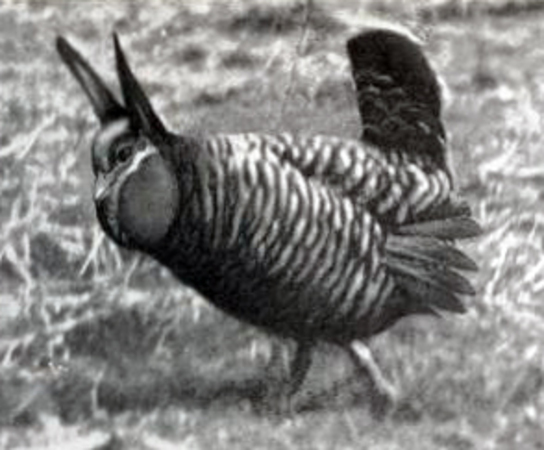 This bird became extinct on the mainland U.S. in the 1870s and the last vanished from Martha's Vineyard in 1932. This bird vanished not only because of excessive hunting over hundreds of years, but also because of habitat loss. This problem was obviously not an issue just reserved for 20th century expansion. Ducks, geese, and swans were also common to the diet of the pilgrims. While we still nosh on ducks and geese, we seem to have let swans off the hook. Perhaps we just consider them too pretty to eat these days. 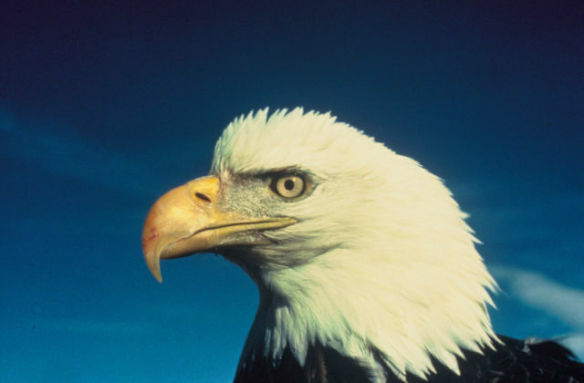 One bird on the menu back then really shocks our sensibilities these days -- the bald eagle. Back then it was not a symbol of national pride and patriotism. The nation was still more than 100 years in the future and legislation protecting it was even farther off. 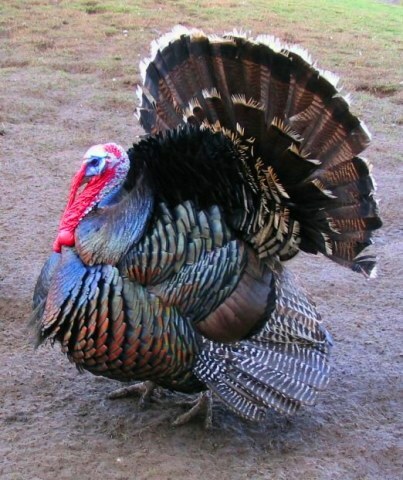 The pilgrims apparently served this bird at the first Thanksgiving. Shall we give thanks that we no longer hunt and eat these beautiful raptors? They ate lobsters back in the day, but without cows for butter, what was the point? They also ate Atlantic cod and eels. Both of these fish have since become heavily over-fished and populations have been seriously reduced. For red meat the pilgrims turned to the white-tailed deer. And yes, you guessed it, uncontrolled hunting nearly wiped them out too. Attempts to save the species in the 20th century have allowed the population to recover. One other creature that was very important to the pilgrims, but unlikely to be seen on the dinner table was a fish called the menhaden. It has also been called a pilgrim fish or pilgrim's fish. This is because this was the kind of fish that Squanto taught the pilgrims to plant along with their corn to fertilize the crop. This would have allowed the pilgrims to have larger stocks of corn, beans, and squash since they had also been taught to plant these vegetables together for a better yield. And, yes, menhaden has also been over-fished in the North Atlantic for use in industry. So go forth and feast. Give thanks that we are learning about conservation so that we don't need to wipe out any more of the animals our forefathers knew. Want To Wear A Turkey On Your Head This Thanksgiving? Bing’s Top 10 Beautiful Bird Desktop Backgrounds!